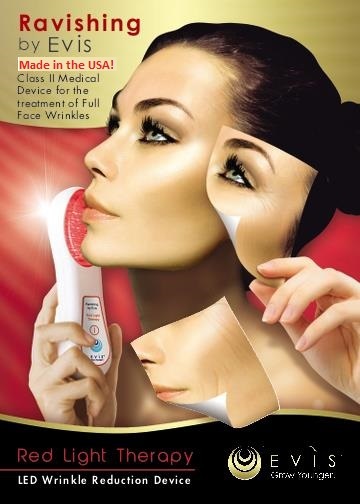 Skin Classic, MicrodermabraisonCutting edge aesthetic equipment and products for the professional and the home user. The energy delivered by NASA-developed light-emitting diode (LED) technology enhances cellular metabolism, accelerates the repair and replenishment of damaged skin cells, and stimulates the production of collagen and elastin—the foundation of flawless, even-toned and youthful skin. LED therapy triggers the natural healing process of the skin, making repairs to environmental insults. Evis MD Platinum Red emits the appropriate wavelength at optimal power intensity to deliver medical-grade performance. With consistent use, you will begin to see a smoother, healthier, firmer, even-toned, more radiant and youthful complexion within the first couple of weeks. Long-term benefits are cumulative over time. Evis MD Platinum Red treatments are both corrective and preventative, as well as completely safe, easy and effective. 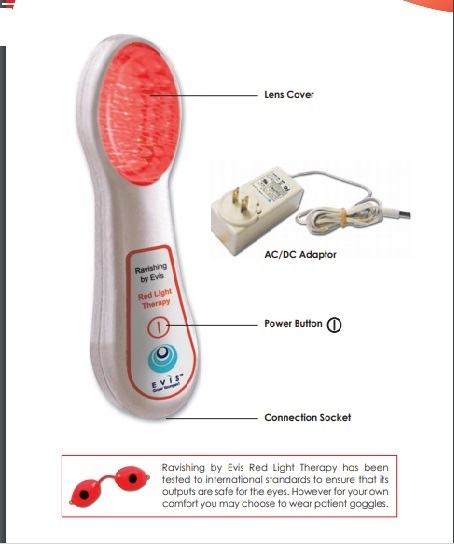 Evis MD Platinum Red is ergonomically designed for comfortable use and employs a medical-grade power supply. • Cleanse the skin to remove make up and dirt. • Connect the power cord to the bottom of the device and plug the power adapter into the wall socket. • Press the power button once, you will hear a beep. The device is now ready for treatment. • Gently place the light directly in contact with the skin over the area to be treated. Hold in place for 3 minutes. • An audible beep will sound every 3 minutes to help time the treatment. After every 3 minute beep, move the device to the next target area. • After 18 minutes (for a total of 6, 3 minute cycles), the device will automatically shut off. However, it may be immediately switched on for additional treatments. • Continue this process until you have treated all target areas. Technical performance specifications wavelength 630 NM + 5 NM visible red light. Wavelength 850nm 5 NM infrared non-visible red light. Device weight .24 lb. operating specs operating temperature + 32 degrees Fahrenheit - 104 degrees Fahrenheit. Humidity 10% - 80% non condensing.